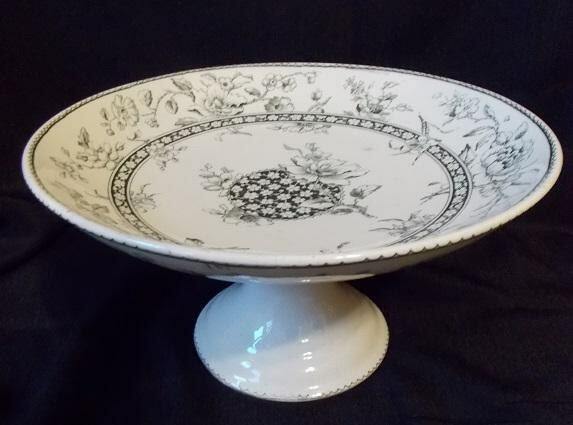 A lovely antique ceramic compote or centerpiece bowl features a flared bowl in an overall cream color. 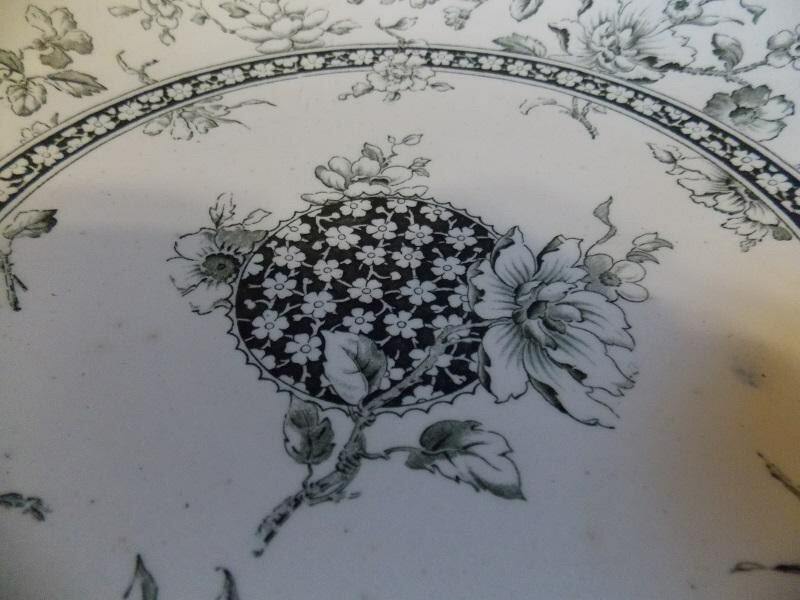 It has a black floral transferware pattern inside the bowl that also circles around the underside of the bowl. 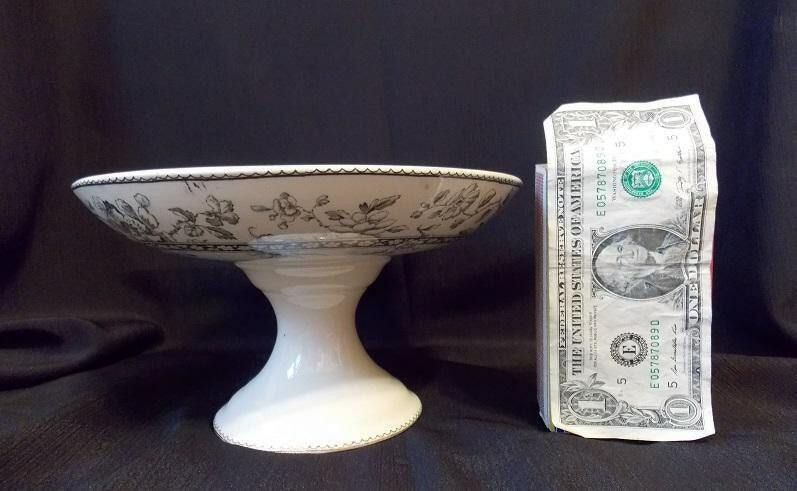 The pedestal and base is a solid cream color. 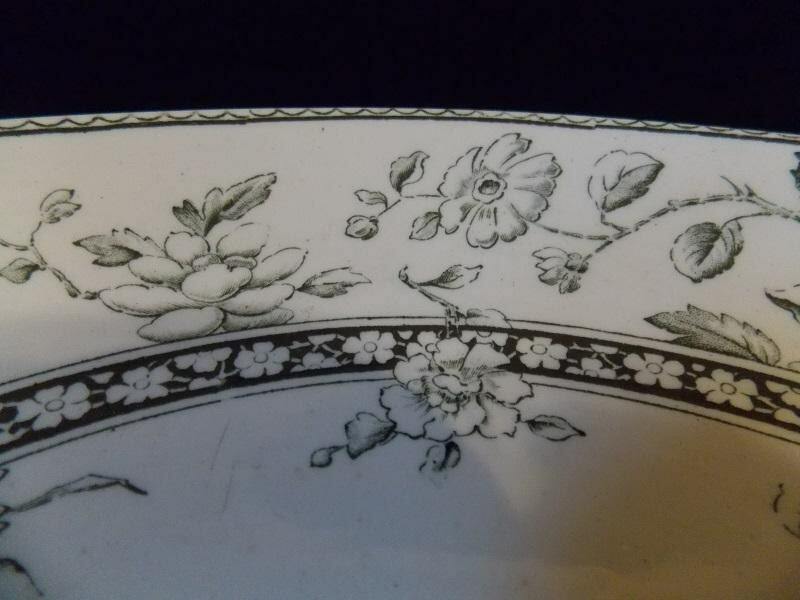 The base has a lined scalloped pattern running along its edge. 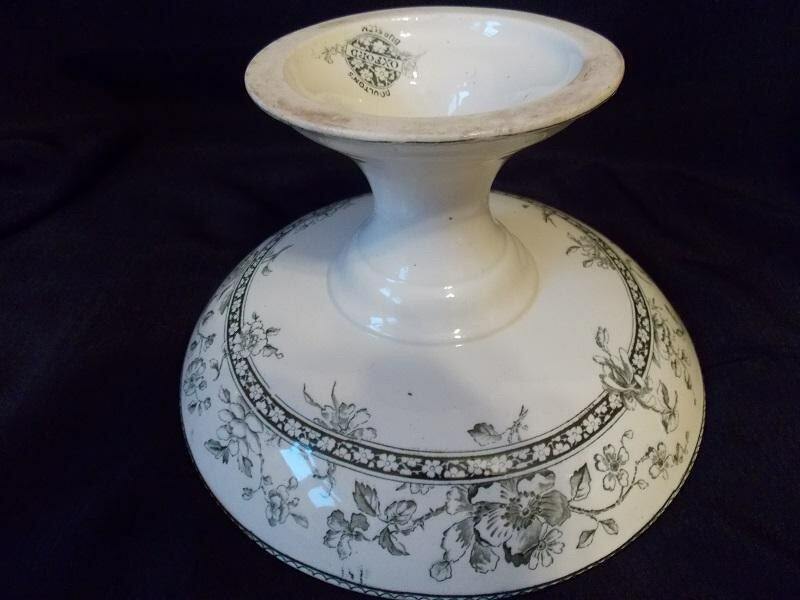 The compote is marked "Doulton's / Burslem/Oxford" on the bottom.